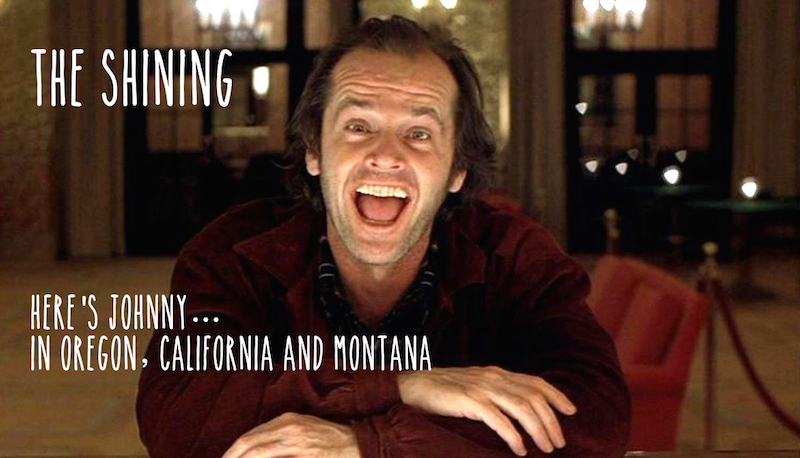 Discover the filming locations of Stanley Kubrick’s horror masterpiece The Shining in Oregon, California and Montana. 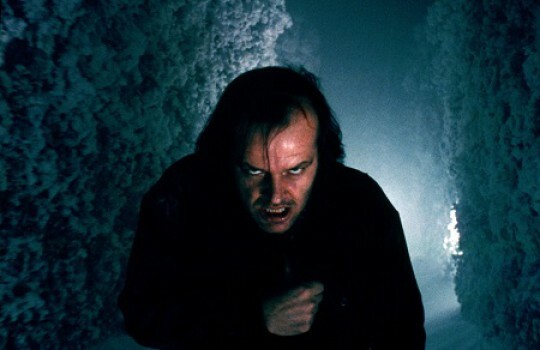 The movie stars Jack Nicholson as Jack Torrance, a blocked writer who takes a job in an isolated hotel hoping to find inspiration. He retreats there with his wife and son during the off-season but becomes gradually mad under the spell of the haunted Overlook Hotel. 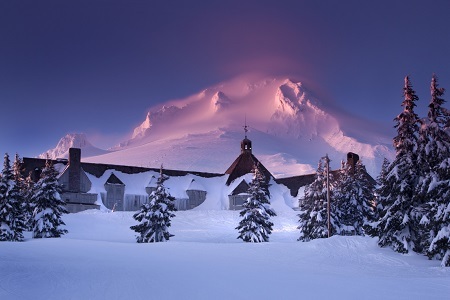 The exterior of the Overlook Hotel where Jack takes his son and wife to work as an off-season caretaker is the Timberline Lodge in Kubrick's The Shining. 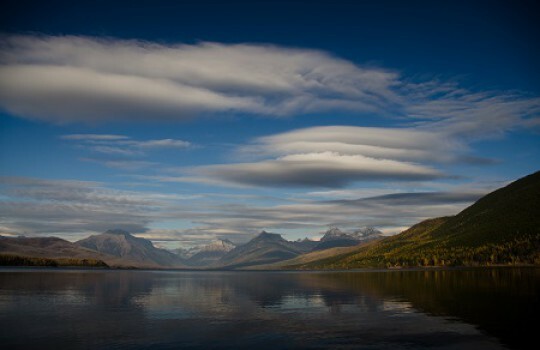 It is a mountain lodge located in Mount Hood about 90 km / 60 mi from Portland. Besides in the Elstree Studios in Hertfordshire (UK), some of the interior scenes were shot at the Ahwahnee Hotel which is located in Yosemite National Park in California. 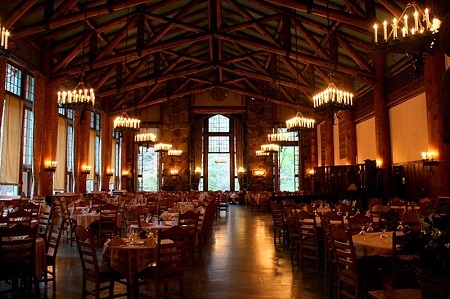 The majestuous but also menacing dining room where Jack dialogues with an hallucinatory barman in one of the scenes belongs to the Ahwahnee Hotel – perhaps the most important of The Shining filming locations. The happy driving scene at the beginning of The Shining where the Torrance family heads to the Overlook Hotel was shot on the eastern shore of Lake McDonald in Glacier National Park (Montana). The calm before the horror. Happy tripping! 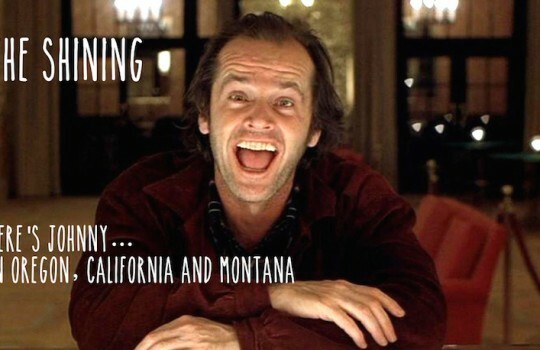 Unfortunately neither the Timberline Lodge nor the Ahwahnee Hotel have a maze. The one you can see at the end of the movie when... ok no spoiler! was actually built in the old MGM studios in Hertfordshire.